Digital-based art-making. 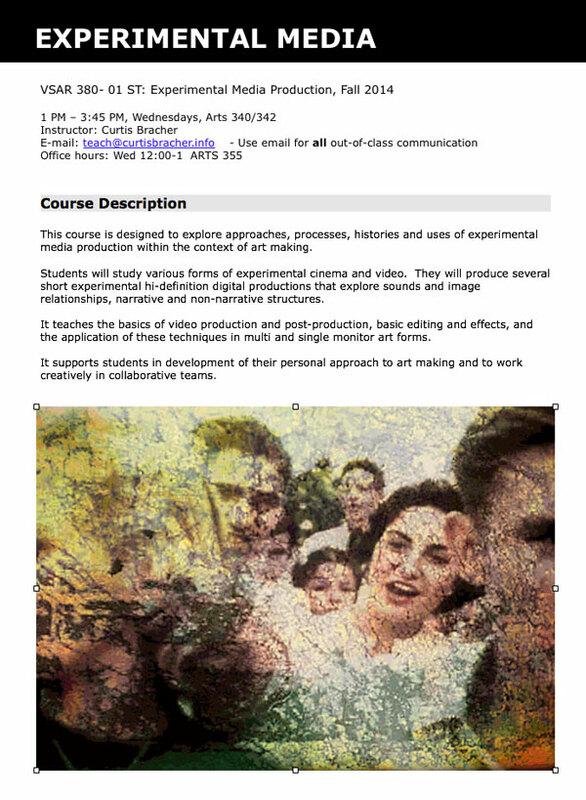 Class Syllabi, Schedules and Project Lists for contemporary art-making within a digital environment. 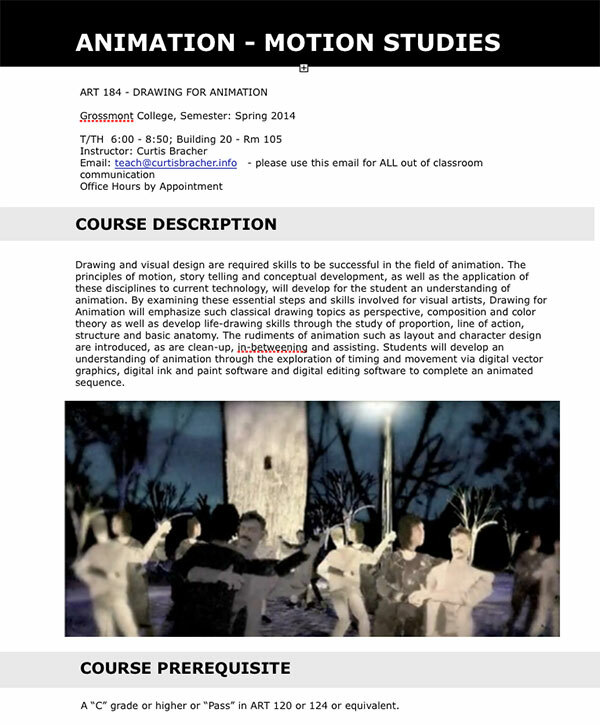 College Art Foundations - Web/UX/UI Design, Interactive Media Design, Animation/Motion, Experimental Media Production. Both a technical and aesthetic introduction to Web Construction and Design. Students will learn work with responsive HTML5/CSS3 and touch on interactive coding. Concepts of Interface Design and User Experiences will be thoroughly interwoven. 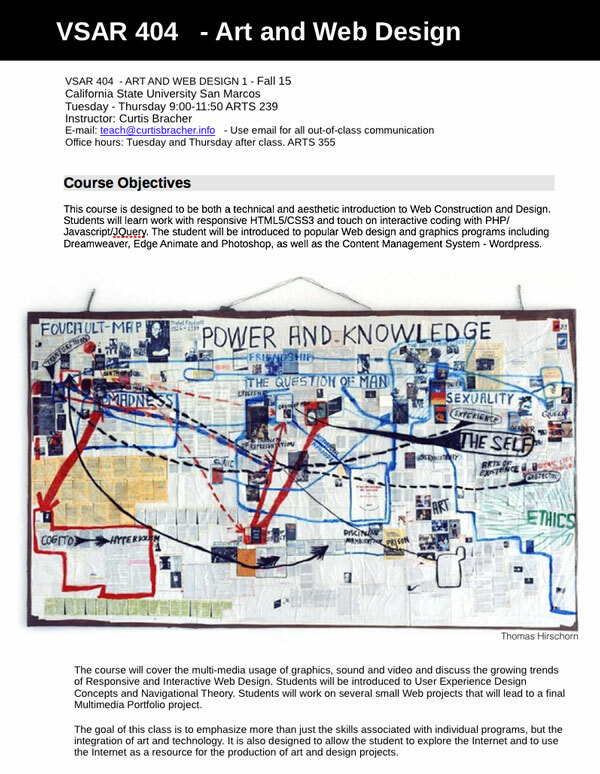 This interdisciplinary course is an introduction to Interactive Media as the digital integration of art, video, graphics, sound, and music for design and production in art, communications, entertainment, science, engineering, architectural and industrial applications. Contemporary Animation/Motion will explore the principles of motion, story telling and conceptual development, as well as the application of these disciplines in current technology. 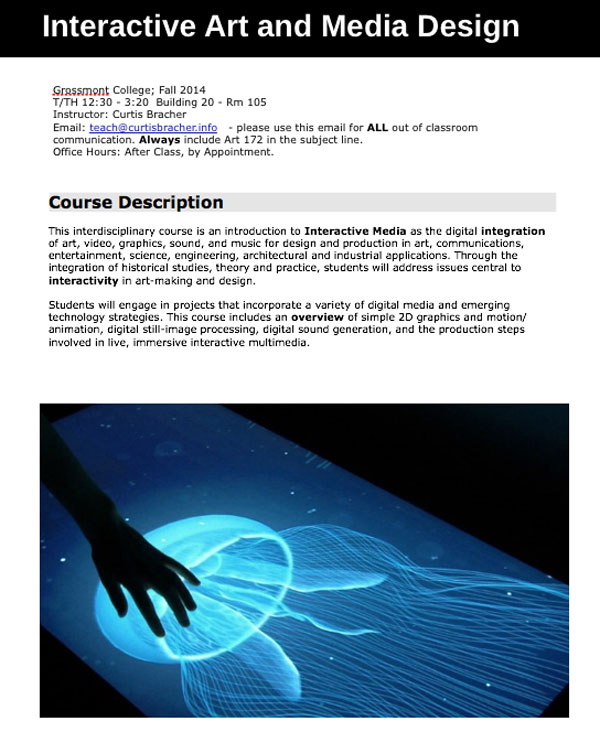 Interdisciplinary course that covers the integration of interactive media through experimental video, installation, and interactivity.